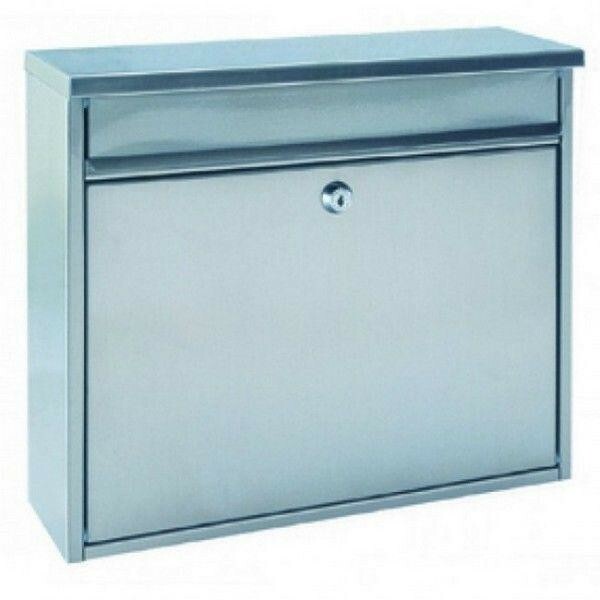 The Pro First 120 Stainless Steel Mailbox is specifically designed to be used for a house or apartment. The 120 offers a slim design which allows multiple post boxes to be fitted side by side, above and below one another in rows. Made from high quality grade stainless steel, it is secured by a key Lock which is supplied with two keys. Pro First 120 Stainless Steel Mailbox with Newspaper Holder. Made from high quality rustproof stainless steel. Also available in Steel in various colours.